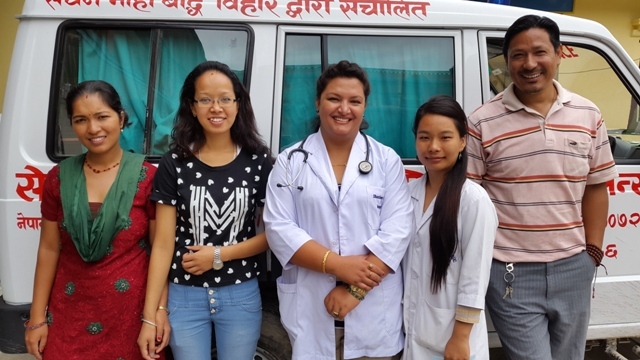 The HearingNEPAL Program has evolved over the past two years and has now obtained charitable status and endorsement as a Donor Gift Recipient in Australia, which will facilitate future fundraising. In 2014, to expand our inclusiveness to other areas in the Himalayan region, HearingNEPAL Program Inc. changed its name to Himalayan Health & Hearing Inc.
At the grass roots level, little has changed, and Himalayan Health & Hearing Inc. will continue to run the HearingNEPAL Program in Nepal. It will now also be running Ear, Hearing and Health projects within the broader region. lew is an engineer/audiometrist with over 30 years experience as a mechanical engineer and more recently trained as an audiometrist. lew “makes it all happen”. Sue has been an audiologist for over 30 years, with extensive experience in Government, Hospital and private practice audiology. The work in Nepal has been more rewarding than all that went before! Keshab Dangol, CMA, Otology Assistant from Nepal Association of the Hard of Hearing (NAHOH). 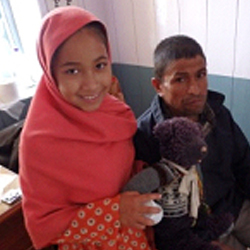 Keshab was trained initially as a medical assistant, under the guidance of ENT surgeons at the local Teaching Hospital. 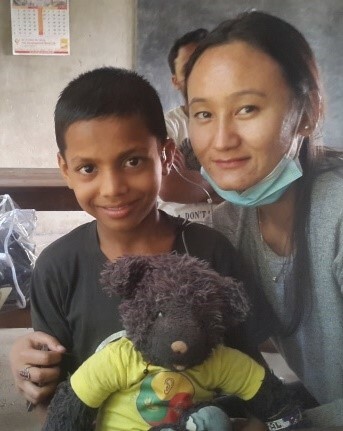 He has run ear health camps in conjunction with NAFA and the HearingNEPAL Program since 2009, and is the primary service provider on the ground in Nepal. Who Do We work Alongside? Himalayan Health & Hearing, through Keshab, now run regular health & hearing clinics in the Kathmandu area. 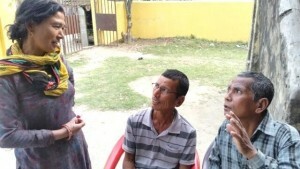 In Janakpur, we have partnered with the Community Family Welfare Association, where their accountant and our leading lady Kamala facilitate hearing camps in their region. Kamala has an effective school visiting program and is trained to provide primary ear care and hearing screening and referral. In Ladakh, Himalayan region of India, we have just moved to a Tibetan Medicine clinic in a monastic institution for Nuns.We have also employed a local lady , Angmo, to manage our program there. Black Bear and Rachel are official ambassadors, honorary team members, supporters and mascots. 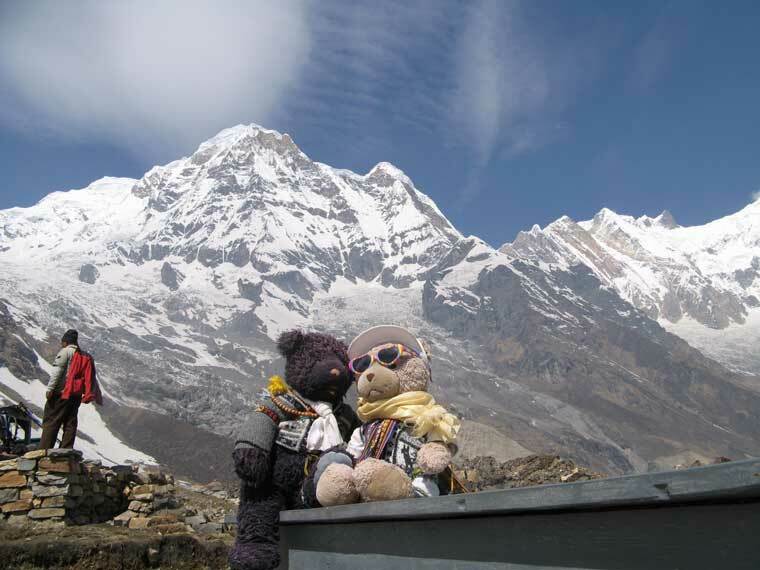 The Bears are well-travelled as you will see as the website posts their many adventures. They meet all the “locals”, children young and old, on our trips and always produce a smile!!! See their adventures in Nepal and Australia. 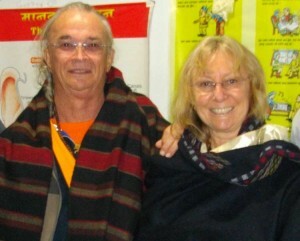 The HearingNEPAL Program Inc. was born in 2008, when Sue and Lew Tuck first visited Nepal. They became aware of the high incidence of ear disease and hearing loss among young people and that services to assist them were very limited. In the rural areas, which make up the majority of the country, medical care is scarce and hearing-related services were non-existent. 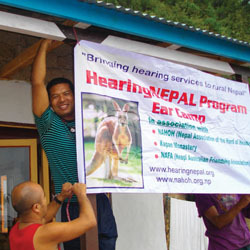 Running their own Hearing Services business in Australia, they were moved to offer assistance, initially providing assessment and hearing aids to an elderly monk at Kopan Monastery, then running an “Ear Camp” in Tawal village in 2010, in conjunction with the Nepal Australia Friendship Association. 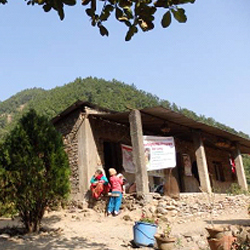 NAFA has a long history of health and education programs in rural Nepal. Sue & Lew quickly realised that a sustainable program had to be run by the local Nepali community, so they contacted the Nepal Association of the Hard of Hearing (NAHOH) who were already providing primary ear care services from their office in Kirtipur. The Abbott of Kopan Monastery was also very supportive of HearingNEPAL and offered their assistance in liaising with local communities, identifying areas of need and interest. Monasteries are often the heart of Nepal communities and are the location of local education and health services, so provide an ideal location for service provision, education and training. The successful collaboration between HearingNEPAL, NAHOH, Kopan & NAFA commenced officially in 2010, and has since provided hearing services to several thousand people in eight regions of Nepal. 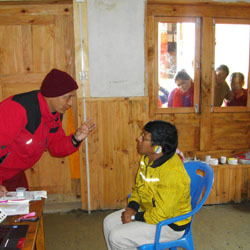 Become a Member and work with us to improve the lives of hearing impaired people of the Himalayas.